Lying To Yourself: Are Self Lies Holding You Back? Prophets and philosophers throughout history have spoken of the potential calamities embedded within lies. “Self lies” cause us to perpetuate a cycle of failure, she says, and the first step in reversing the pattern is recognizing them. Hill has developed three questions – a Lie-Q test – for people who can’t seem to find success, whether it’s in romance, weight loss, finances or just general contentment. Have you ever told yourself, “I’m too old for that”? That’s just one of the many common self lies. Others include, “I will never find true love;” “I’ll never get out of debt;” “I can’t change who I am.” While the briefest of analyses demonstrates how illogical these lies are – people find true love, get out of debt and change every day – we persist in believing them. If you tell yourself you can’t, you won’t make the real effort required to succeed. Do you pretend to be happy when you’re not? Many of us have pretended to be happy on the job or at home when, in truth, we’re very unhappy. Sometimes we pretend for the sake of others; sometimes because we worry about the consequences of expressing our true feelings. And sometimes, we do it to convince ourselves that we’re happy. Are you happy? If you’re not sure, or if you’re sure you’re unhappy, Hill recommends getting into “self-discovery” mode. Take a close look at the hobbies, relationships, activities and work you enjoy. Determining what they are and working them into your life starts the process of feeling more content, she says. Do you think you can’t find a more satisfying job? It’s important to find satisfaction and gratification in our work lives, Hill says. “We spend most of our waking hours on the job so if yours feels tedious, meaningless and dead end, you will be happier if you’re at least working on a Plan B,” she says. Since the economic downturn and soaring jobless rates, the mantra has been, “Be grateful if you have any job at all.” That’s the wrong attitude. “If you have an exceptional skill and are willing to work hard, chances are you can find something that makes you happier. If it’s not a paying job, perhaps some volunteer work on the side,” Hill says. Make a list of your skills and the things you enjoy. Do any of these match job descriptions in the real world? You may be surprised to find that your dream job – or something close to it –is out there. “Why wouldn’t you go for it?” she asks. 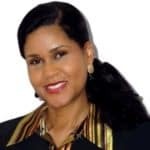 About Cathy Holloway Hill: Cathy Holloway Hill is founder of C. Holloway Hill Enterprises, an international consulting, training and professional speaking firm focusing on personal and professional growth and effectiveness. Her guidance is sought by Fortune 100 companies, youth organizations and individuals who want to transform their lives. Hill has a bachelor’s in computer science, a master’s in psychology and numerous life coaching certifications. After 25 years in the corporate world, she walked away from her successful career at IBM in order to pursue her passion – helping people live happier lives. She is a winner of Indiana’s Torchbearer Award for contributions to her state.